FXRRVST may be in Canada but have roots firmly set in Perth. 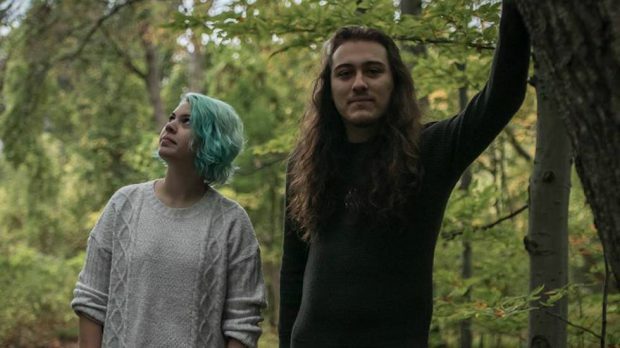 At the Mississauga Music Awards in September, the indie band won Best Acoustic Act, and BOBBY HRISTOVA chatted with the Australian-born lead singer Holly Forrest about the award, their next album and how her Australian roots have influenced her music. You lived in Perth, moved to Indonesia and won a music award in Canada. How is that journey and your childhood in Australia embedded in your music? When I was little, I listened to artists like Delta Goodrem and Kasey Chambers but then one of my aunts or uncles showed me James Blunt and his first album. That influenced me wanting to do music. When I moved to Indonesia, I was nine. I started learning basic guitar stuff and writing songs. When I was 10, I did a talent show and sang a song by John Williamson about Steve Irwin and that’s when my parents saw my passion for music. Steve Irwin was my biggest influence. When I started the band in Canada, it’s always been about using my voice to raise awareness for conservation efforts and be eco-friendly and charitable. What’s the story behind the way you spell the name of the band? The name of the band is based on my last name, Forrest. We wanted to make it interesting with the X’s and V’s. They’re also the Roman Numerals for the number 15, which represents when I moved to Canada and when we started the band in 2015. Walk me through the night you won the award for best acoustic act at the Mississauga Music Awards just outside of Toronto – what was going through your mind leading up to the day and the moment you felt the award? We were 99.9 percent sure we weren’t going to win. Neither of us were dressed for the part. We were on the balcony to watch people win their awards and then they called our name and there was a long pause because of the shock. We thought they had to have made a mistake. We walked off stage, stayed in the hallway for a quick second and just said, “Woah.” We’re really grateful for it. How will your next album compare to your first album, May XXVI? When will your new album come out? Our music is indie, folksy, alternative and when we started it was mainly acoustic. People seem to like Tidal Wave and Road to Nowhere off our first album (the former has over 70,000 hits on Spotify), but our newest album is more alternative rock and a lot less folky. We’re in love with playing it and hearing it. We don’t have a release date in mind unfortunately, but it’s some time in 2019. Are you open to performing for your fellow Australians in the future (and perhaps a visit home to Perth)? We’d both love to do that. That’s definitely on our bucket list as soon as possible. As soon as people want to hear us, we’ll be there.